What are the constraints and opportunities when exhibiting the kinds of design objects that saturate our daily lives in a white cube? This is one of the questions that the curators at the Van Abbemuseum asked together with Design Curating and Writing Masters students. Each of the five graduates spent a year researching an urgent issue related to contemporary design. Some of the issues are global in their reach, such as rethinking education, design for disasters and digital surveillance, while other topics are locally specific, like micro-scale manufacturing in Eindhoven and the politics of a portable toilet in Cape Town. The research was first presented in a written thesis and then translated into an exhibition proposal. 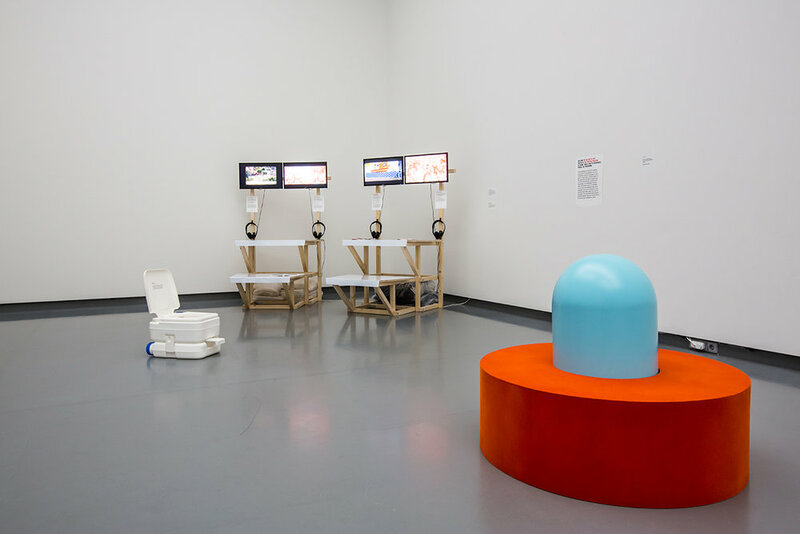 Staged in this exhibition were conceptual vignettes of the different curatorial strategies used by each graduate. ‘On Curating Design’ invited visitors of the Van Abbemuseum to reflect on the meaning and mechanics of presenting design in an exhibition.